The HumanCar just might be an eco-loving carpooler’s dream come true. Four seats and four rowing handles (for human-powered battery charging). 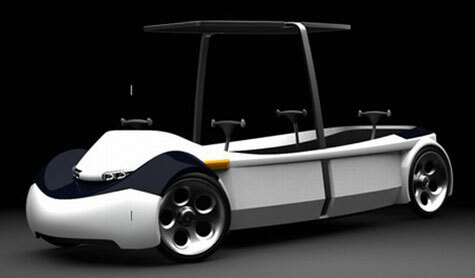 The unique human-powered/electric hybrid vehicle will be available this coming Earth Day for a paltry $15,000.